The preacher curl bench is set to a perfect 30° angle, positioning the upper arm for maximum stretch and full range-of-motion while eliminating stress on your elbows and lower back. 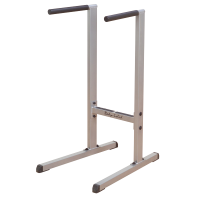 Body-Solid’s new SFID325 Commercial Flat/Incline/Decline bench is designed to meet any facility’s requirements without breaking the bank. Utility benches are a critical part of any commercial or vertical market facility. 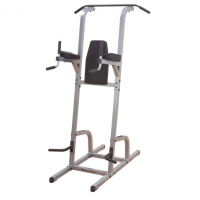 Designed to provide an intense ab workout while eliminating strain on the lower back, the Vertical Knee Raise Machine is hard to beat for vacuuming the waistline. Easy and convenient step entry makes getting started a breeze. Thick, comfortable DuraFirm™ back pads and arm supports reduce fatigue and discomfort allowing you keep working on your abs and obliques.